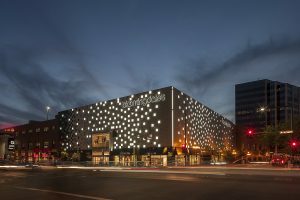 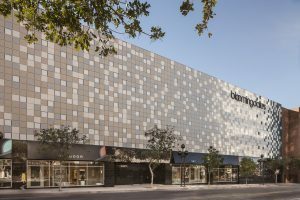 CMF installed approximately 3,400 24' x 24' 3/16' aluminum panels on the newly refurbished Bloomingdales's store in the Glendale Galleria. 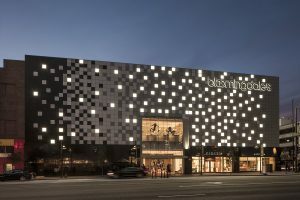 CMF also assisted in the installation of LED lighting strategically placed over the building's two elevations and throughout the aluminum panels. 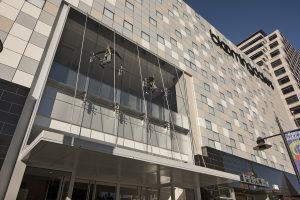 CMF also fabricated and installed custom items on Bloomingdale's interior. 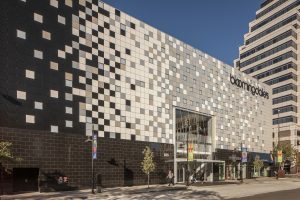 A standing seam aluminum canopy roof, aluminum soffit panels and general sheet metal and flashings completed the make-over.